Sonoma County is one of the locations. New Delhi: Heading for a road trip in San Francisco can definitely be a great idea. 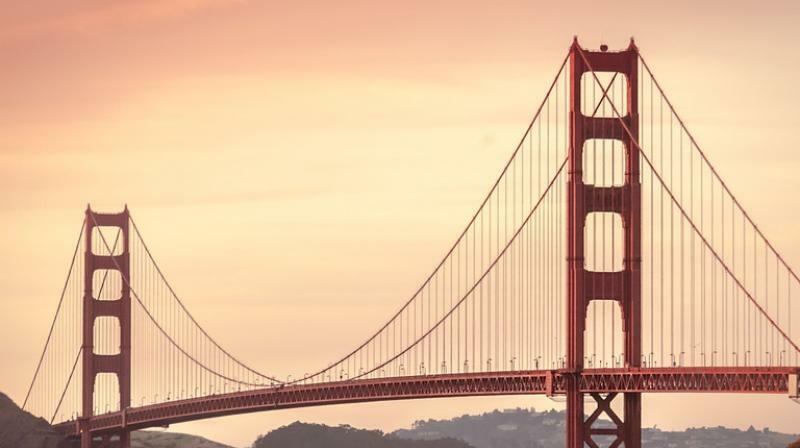 The sights and scenic beauty, The one-of-a-kind events and world-class food, welcoming people, the diversity and rich history is something to look forward to when on a trip around San Francisco. There are many intriguing places to explore around San Francisco that you would love to hit the road in search of fun and adventure. Take a drive up to the Highway 101 from the Golden Gate Bridge in San Francisco to the first Sonoma County outpost you'll reach is Petaluma, a foodie haven also known for its wines and world-class beer and ales. Nestled along the Petaluma River and built on secure bedrock, Petaluma was one of the few Bay Area communities not seriously damaged in the 1906 earthquake. Its downtown includes well-preserved historic buildings that now house boutiques, antique shops, specialty stores and restaurants. Making your way east from Petaluma on two-lane roads brings you to the Sonoma Valley, nestled between two mountain ranges along Sonoma County's eastern edge. Known as the birthplace of wine in California, this 17-mile long valley includes an amazing variety of landscapes and microclimates, five of Sonoma County's 17 distinct American Viticultural Areas (known as AVAs or appellations), and the welcoming communities of Sonoma, Glen Ellen and Kenwood. Head south from San Francisco or north from Los Angeles, a classic and spectacular route is along the Pacific Coast's Highway One, through beautiful Monterey County. One hundred and twenty-nine miles (207 km) of Highway One, from Monterey through Big Sur and down to San Luis Obispo, has been declared an All-American Road by the U.S. Department of Transportation's National Scenic Byways Program and a State Scenic Highway by the State of California. The scenery simply can't be beat! Most visitors to San Francisco head straight for the iconic beauty of the Golden Gate Bridge and Marin County. But if you're looking for a great escape filled with curvy, narrow roads and dramatic mountain views, look no further than a drive on Skyline Boulevard. This hidden gem of a daytrip takes you on a spectacular out-of-the-way drive in the heart of the Bay Area. Roughly a forty-minute drive (without traffic) from San Francisco, Skyline Boulevard (US-35) puts you on a ridge road running atop the mountains that separate the San Mateo Peninsula from the Pacific Ocean. If you're starting in San Francisco, head south on Highway 280 and follow the signs to Highway 92, as if you are going to Half Moon Bay. Once on Highway 92, you'll meander for a few minutes on a beautiful tree-lined ascent to the summit. When you get to the peak, turn left onto Skyline Boulevard. You're now driving on a winding road that offers a series of scenic overlooks before taking you through a beautiful wooded area. It's an incredibly peaceful and bucolic setting, made all the more amazing when you consider that you're less than an hour from downtown San Francisco and only moments from the harried multi-lane freeways of Silicon Valley. Once you're on Skyline Boulevard, take your time to enjoy the scenery. You might want to pull over to the side of the road (safely!) to take in the views. As you're travelling south from where Skyline intersects with Highway 92, you'll see the San Mateo Peninsula on your left. To the right, you'll be treated to views of the lush mountain forests that stand between you and the Pacific Ocean. Drive just two hours North of San Francisco to Mendocino County and you'll discover a place that's worlds away from ordinary. Mendocino County encompasses a number of charming coastal villages with breathtaking proximity to the Pacific coastline, historic attractions, an awe-inspiring redwood wilderness, a bucolic inland landscape of rolling hills, vineyards and tasting rooms, and small towns that haven't lost the true meaning of hospitality. Curl up to the view of the dramatic coast from a seaside inn, stay at an eco friendly hotel, overnight at a winery villa, find peace at a retreat in the redwoods or rent a Mendocino-style house and stay for a while. Mendocino County is home to a number of year-round attractions and annual events. Go for a ride on the Skunk Train through the redwood forest. Walk through the Mendocino Coast Botanical Gardens, hike hundreds of trails in state and regional parks, or mountain bike, canoe and kayak. See the giraffe during a tour at B Bryan Preserve, or visit the Gualala Arts Center on the South Coast. Head to the northern-most tip of the county to visit Confusion Hill, and drive through the nearby famous Chandelier Tree (315 feet high). Taste at dozens of wineries located along Highway 128 in Anderson Valley or along Hwy 101 in Ukiah, Redwood Valley and Hopland. The experiences are unique and restoring, and waiting for you to discover. It's what you've been missing.